Glenn Flegg & Co is an Independent Estate Agent and Letting Agent for property through Berkshire and South Bucks. Our recently refitted and rebranded offices in Berks and Bucks are prominently situated and cover a wide geographical area. Our highly experienced and friendly staff take great pride in their profession. Whether buying, selling or renting, they will be happy to help at every step along the way to smooth the path, overcome any obstacles and achieve the best possible price for your property. A very personal but professional service from start to finish! We also have a specialist department dedicated to dealing with property matters, including indemnified valuations for probate, matrimonial and Court of Protection issues. This ensures that a delicate approach is adopted to deal with these most difficult of matters. At Glenn Flegg we believe that we offer a winning combination. Our aim is quite simple – to provide an unrivalled quality of service that you remember and want to tell others about. Glenn has over 35 years experience of the local property market. He started the company in 1991. 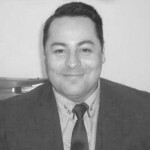 He has worked in all aspects of the Estate Agency and property development. 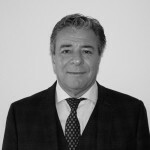 He is a member of both the National Association of Estate Agents and the Association of Residential Letting Agents. He currently carries out consultancy work on various aspects of the industry using his unique knowledge and expertise. Ben, Glenn’s son has 20 years experience in Estate Agency and has now become the Senior Partner , Having worked for the largest privately owned and corporate Estate Agencies in his early years. Experiencing the London Property market and a huge spike in construction (& Urban residential growth). Ben has applied this skill set to assist & advise, New Homes & Development companies, acquiring land & developing into luxury apartments or small residential developments . Working predominantly in Slough, Burnham , Langley and a 10 mile radius for the last 15 years , Ben is enjoying selling Homes and supporting the local community, events & charities. Ben has established a continuous and repeat business client base experiencing many years of good service , renowned for good advice, professionalism coupled with a wealth of knowledge & experience required for property matters, sales , Land acquisitions and strategic land purchasing, all becoming a forte for Ben . Due to the family business element Ben has retained an excellent reputation & level of customer service , being awarded negotiator of the year 2015 having had the most & best client reviews within his local operating area being awarded www.Allagents.co.uk as the best Negotiator in SL1,2,&3 . Ben has many glowing reviews and really does care about the thorough service and professional guidance he delivers to all his customers. Simone is Glenn’s daughter, she has worked for the company for a total of 16 years. 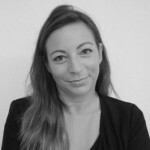 Simone has worked in every role within Residential Lettings, from paying Landlords, valuing properties to Property Management. Simone obtained A-levels in Business Studies and Home Economics and also went on to study Marketing with the Chartered Institute of Marketing. Simone became a Project Manager for Fujitsu (1997-2004) and using Prince 2 Methodology, Simone was involved in many high-profile IT Implementation Programmes to modernise the Governments IT, including HMCE, the DTI & Post Office. Returning to Glenn Flegg & Co in 2004, Simone draws experience from Residential Lettings, Marketing and Project Management, to continually drive this independent family business into the future with the assistance of her loyal, long-standing & established team.